After the wedding ceremony and reception, an important thing that a couple will have to remember most of these marvellous moments of their dream wedding day is their wedding album. The beautiful bride and the handsome groom, the family and friends, all the romantic moments that in a beach wedding ceremony and reception can be captured to last for a life time are great for your wedding album. That is why beach wedding photography poses are so important to accomplish spectacular photos and make these moments unforgettable. The sun rays reflecting from the blue waters, the sand, and the palms can play an important role in capturing these moments for a lifetime. So, take this opportunity to click some amazing images. 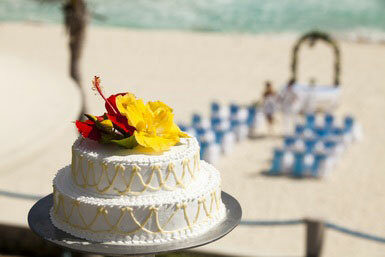 Beach weddings are beautiful and photos are too. Getting married in one of those Caribbean locations, where the provocative colour of the beaches and the pleasant atmosphere of the All-Inclusive Resorts bring a sense of romance, make these places to be among the top ideal locations to take beautiful and natural pictures. Be as creative as you can with your beach wedding photography poses, go crazy while taking pictures and take as many as you can because you do not want to miss any moment of that day. Many couples hire a professional to photograph their beach wedding and if the photographer certainly knows about beach wedding photography poses, they will not need to worry. However, many couples take the risk and opt for someone in the family or friends that will be serving as photographers for that big day, which is just a little different, but it can be full of fun and success. There are funny and non traditional ideas for beach wedding photography poses. For example, in the bridal party the groomsmen’s carrying the bride; bridesmaids fighting for the groom; the bride hidden from the groom in some nice outdoor spot of the All-Inclusive Resort; the bride and groom walking away from the camera, holding hands, looking back over their shoulders and waving, are just some poses you can try. The most important think in these cases is to be as creative as you can with the poses, so as to keep these special moments in amazing images. On the other hand, there are some beach wedding photography poses more traditional and that most brides prefer to see in their wedding albums, like the bride dressing for the ceremony; in this case it is common to take a picture of the bride while she is dressing for the ceremony or the bride alone with her wedding dress; or the bride surrounded by her bridesmaids, walking down the aisle. This is one of the most important moments for the bride and it should be captured. Generally the photographers take a close-up and a long range shot of the bride while she is walking down the aisle. The godfather or the father of the bride giving away his daughter is another very relevant moment that should be part of the wedding album; the face of the groom can also be included in this shot. And of course, the bride and the groom’s first kiss can not be excluded, as soon as the officiant or notary announces them as husband and wife, the famous first kiss comes and a picture of this moment is always to be remembered as the beginning of the relaxing part of the day. In this case many couples prefer a close-up, although you can also have a long range shot of this moment, which will be fabulous, too. The rest of the day and during the reception many other pictures can be taken using the beach wedding setting that can include open terraces or beautiful spots that you can find in your All-Inclusive Resort, and not only pictures of the couple but also of their relatives and their godparents and bridesmaids. Depending on the time of the wedding ceremony, you have to make good use of the sun and take pictures of yourselves. Sunsets are idyllic settings; so, use the gorgeous sun setting as your backdrop for amazing pictures. Do not forget to start shooting very early and keep taking the pictures until everyone has left the beach. Vary the beach wedding photography poses and take pictures of things that seem inconsequential, because they may look amazing with all of the other photos later.